How will my merchandise be delivered? Your local store will call you to schedule delivery of your merchandise. What should I do if my item is delivered damaged? If you notice that your merchandise is damaged, please contact your local store immediately. Can I track the delivery of my item? After completing your order, we will send you a confirmation email titled "Aaron's Order Confirmation". At the top of that email is a blue "Track Order" button. If you have additional questions, please contact us at 1-888-333-3785. Delivery times vary based on the merchandise selected. The expected delivery time will be displayed during the checkout process. If you have already completed your order, you can find the expected delivery time on the "Aaron's Order Confirmation". How can I set up an account to make my payments online? Please go to account.aarons.com, click on "Register" and follow the instructions. What should I do if I can't remember my password to make an online payment? Go to account.aarons.com, select "Click here to reset your password", and follow the instructions. What should I do if I am locked out of my online payment account? Please contact us at 1-888-333-3785. Please contact your local store to make a payment arrangement. Will Aaron's be using my bank information to auto-draft payments from my account? Aaron's will not use your banking information for payment without your authorization. If you are interested in online payments, please go to account.aarons.com and click on "Register". 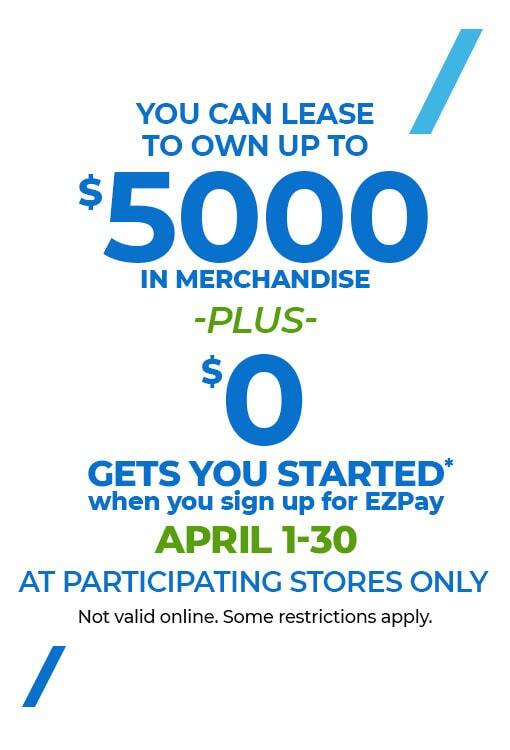 If you would like to sign up for Aaron's EZPay, our recurring payments program, please contact your local store. Do you offer a same as cash option? How does it work? The 120 days Same as Cash option is available to most online customers. A limited number of stores offer 90 days Same as Cash. Some stores do not offer a Same as Cash option. Aaron's accepts cash, checks, money orders, and all major credit cards at most locations. Do I have the option of paying cash for my first payment? No, your first payment for an online order must be made using a debit or credit card. Once the first payment is made, your local store will accept cash, checks, money orders, and all major credit cards, or you can continue to pay online. What does Aaron’s mean by total cost of ownership? The total cost of ownership is made up of the cost of lease services plus the retail price of the merchandise. The cost of lease services covers the amount Aaron’s charges you in addition to the retail price of the merchandise for all of the services that are included with Aaron’s rent-to-own plans. 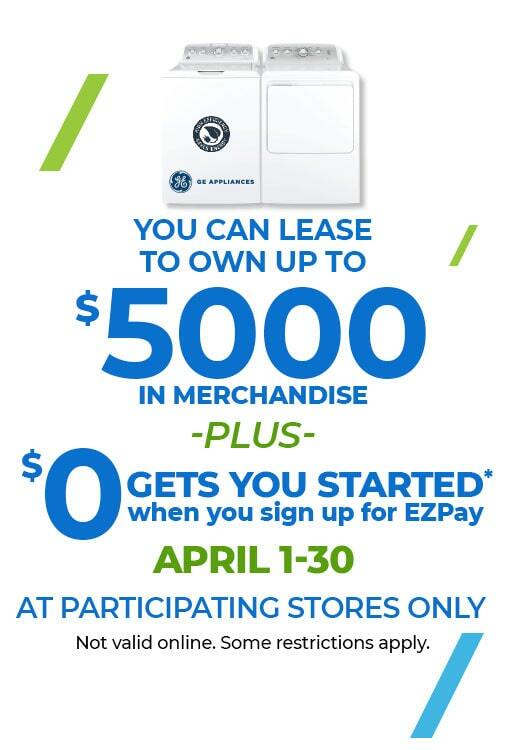 This includes the regular payment amount, which is how much you need to pay each time a lease payment is due, the number of payments, plus Aaron’s everyday low price for the retail price of the merchandise. How does Aaron’s Low Price Guarantee work? If you are ever shopping and see that one of our local competitors has a hot deal that’s lower than Aaron’s, we’ll be happy to offer our Low Price Guarantee. Our Low Price Guarantee promises that we’ll meet or beat any local rent to own competitor’s advertised total cost of ownership on the same item or we’ll give you $100 in cash! Why choose lease ownership over credit financing? Many of our customers lease to own because they don’t have room for a larger household purchase on their credit card. 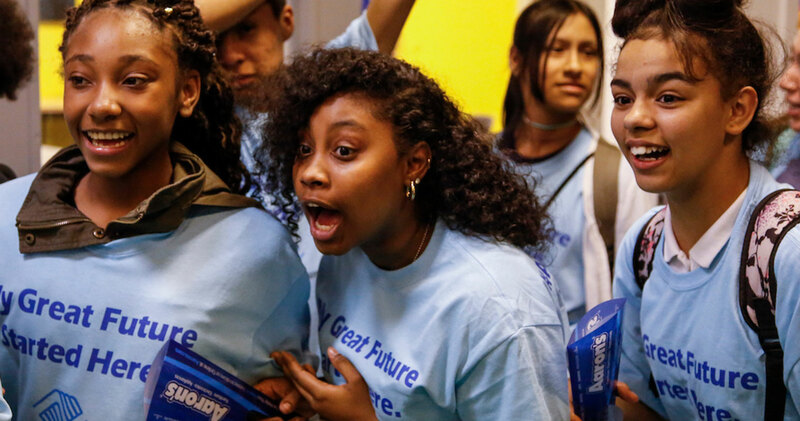 While others want to preserve their available credit for other things – like tuition or medical care, or know that if they apply for more credit it may adversely affect their credit score. Whatever your reason for choosing lease ownership, you can relax knowing that renting to own with Aaron’s brings with it peace of mind that credit financing can’t! Watch the video to learn more! What forms of ID are accepted when leasing online? We accept US-issued identification including Driver's License, government-issued Green Card, government-issued ID card, Military ID, Passport, Residential Alien Card & State ID card. Matricula Consular are not accepted as ID for an online transaction. Will my item be new or pre-leased when shopping online? Your item will be new. There are no pre-leased items available on Aarons.com at this time. Why isn't the lease online option available in my area? Online leasing is not available in all areas. Your delivery address must be within 30 miles of a participating Aaron's store. To find your local store, please visit our Store Locator. Why is my Social Security Number required to lease online? Your social security number is used to process your application for approval. I really don’t need credit at Aaron’s? When you lease to own, you aren’t borrowing money to buy an item and then paying it back, you’re borrowing merchandise while you use it and making lease payments - that’s why you don’t need credit. Watch the video to learn more! Does Aaron’s even check my credit? As part of the online approval process, Aaron's will check credit history and creditworthiness and rely upon consumer reports and information obtained from third-parties in considering your application. However, there is NO credit needed to lease from Aaron's. Aaron's minimum lease requirements include a verified source of income, residence and 3 references. Leasing online does require that you provide additional information. 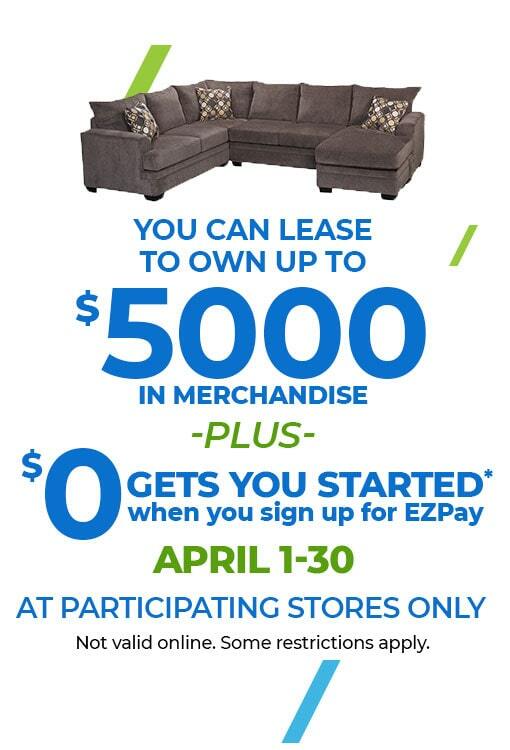 Is previously leased merchandise discounted when shopping in-store? 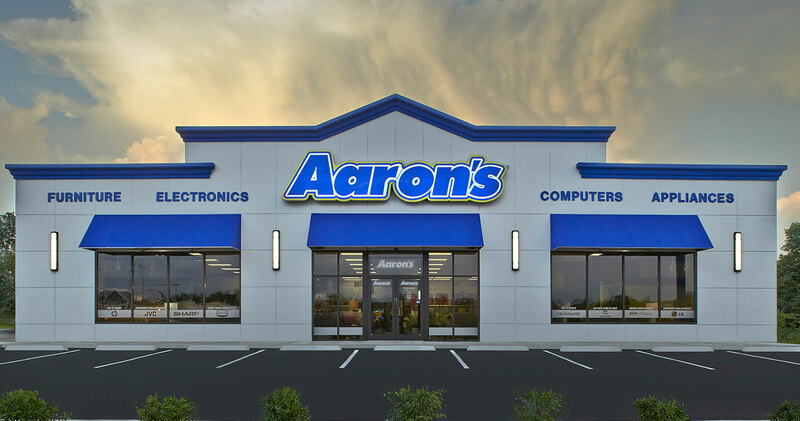 At Aaron’s, you choose whether you want new or previously-leased merchandise and yes, if you choose previously leased, there will be savings! All of Aaron’s regularly advertised prices are for brand new merchandise, so if an item is previously leased it will be clearly marked on the price tag. Watch the video to learn more! 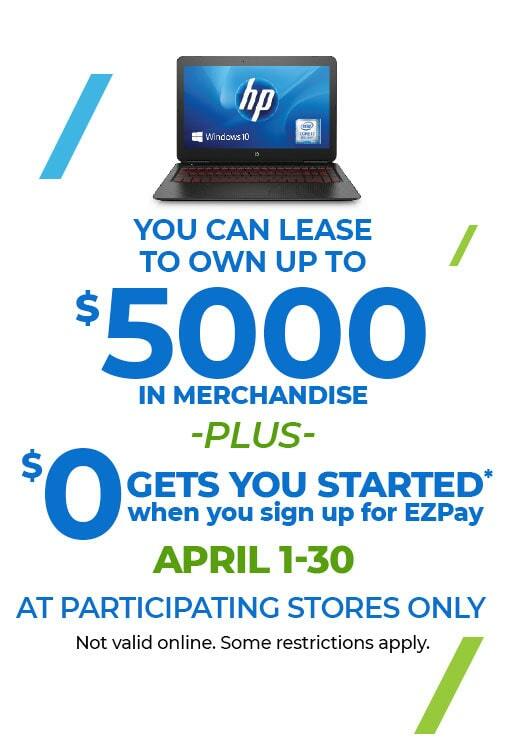 Why do I need to be associated with a store if I am leasing online? The local store will be delivering your selected item(s) to the home address you provided. The local store will also take care of any needs that come up in the future after your delivery has been made. Why can't I lease online if there are no stores in my area? Unfortunately, there are a few areas that we are unable to service. In the future, we hope to add processes that will allow us to deliver outside of our current service areas. Aaron's offers a Limited Extended Warranty for an additional 60 days after ownership (except in NC). In addition, in some states, the Aaron's Club program offers paid out product service protection to members for up to one year after ownership for a monthly fee. To contact your local store, please visit our Store Locator. What if I need service on my merchandise while I am leasing it? If you need service or repair, contact your local store. Our Store Locator. can help you out. Yes. If you have not received your merchandise, you can contact us at 1-888-333-3785 to cancel your order. The refund will be applied to the card you used to make the first payment. Once your item has been delivered, you can contact your local store to schedule a time for return or pick-up as stated in your agreement. However, you will not receive a refund. Do I need to return my item in its original packaging? No, but your item must be returned with all the accessories.